Have you ever wanted to buy a goat for a family in Africa but been unsure if it’s the best donation choice? This article gives you the ‘straight-from-the-goat’s-mouth’ point of view on giving a charity goat. It also looks at other donation options you may want to consider. Spoiler alert: Canadian Feed The Children runs livestock programs, through which we distribute goats (and also chickens, sheep, bees and more). However, we also believe that giving a goat or other livestock gift may not be the best donation option for everyone. So if you want to buy a goat for a family in Africa then we believe you should be aware of the criticisms, some of which are absolutely valid. Why run a livestock program then? Because we know from experience that sometimes we need to put pragmatism before perfectionism. We know that most solutions come with some drawbacks and that the real value we add to a given project or program is the ability to manage those drawbacks effectively and ethically. As mentioned, giving a goat for Christmas does have its disadvantages, which we will discuss further down the page. However, in the next section we will cover the advantages of ‘goat aid’, as it’s sometimes called, because what we see on the ground is that goats and other livestock truly are a springboard out of poverty for many farming families – and especially, for impoverished women. So with that all said, let’s start with the pros. 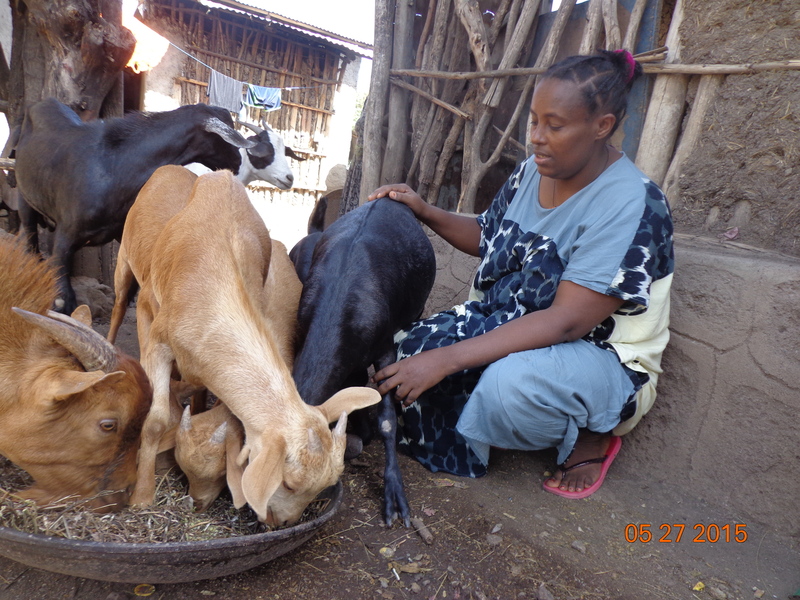 Pro #1 – Goats help more women get into farming or other income generating activities. You know what goats are really good at? Producing other goats. Quickly. Relatively easily. Maybe not as fast as the proverbial bunny, but fast enough that women – who are prevented from owning land in many of these communities and are often unable to grow and sell enough produce to feed their children – can raise a couple of chickens for eggs to eat and to sell. And then, often, earn enough to trade up for a goat or two – which can be reared and then traded up for a cow and for many other options as the family income grows. Pro #2 – When you buy a goat for a family in Africa you’re donating a real item to a real person. When you buy a goat for a family in Africa it REALLY does help a family in Africa. Asrat Tola (pictured in purple) is a beneficiary in one of CFTC’s Self-Help Groups in Ethiopia. She is a real-life example of how a starter chicken turned into a thriving home-based garden (she also has sheep, not pictured here). Not only has she lifted her entire family out of poverty, she’s also inspired many others to follow the same path. Read more about her story and others like her in The Multiplier Effect in Ethiopia. 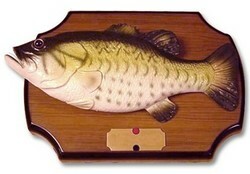 Some of our long-term donors will buy goats or other charity gifts – in addition to their regular donation – when they don’t know what to buy someone and they don’t want to resort to a cheap, throw-away item that has very little meaning — yes, we’re looking at you singing bass! The holiday season in particular is fraught with the need for last-minute gifts that also still manage to be thoughtful and meaningful. So there’s certainly an opportunity to forego impersonal or ho-hum gifts for something a little more meaningful and long lasting. Pro #4 – Goats and other charity gifts are an easy concept for kids to understand. We’ve tried explaining the pros and cons of restricted and unrestricted funds to five-year olds but they just don’t want to listen! Seriously though, buying a goat for a family in Africa is an easy concept for kids to grasp and is often used by our donors as way of exposing their kids or grandkids to the concept of charitable giving. Read about Evan, a young philanthropist who accepted donations in lieu of gifts for his eighth birthday. Pro #5 – Buy a goat for a family in Africa and double your donation. From this GivingTuesday (November 27, 2018) until December 25 buy a goat for a family in Africa for just $75 and we’ll match your donation! You can help two moms change the lives of their children. Double your impact today! * Buy a goat for a family in Africa & your donation will be matched until Dec 25 or to a max. of $50,000 thanks to a small group of special donors. We truly do understand that giving a goat or any other livestock gift may not be the best donation option for everyone and that some of the criticism about buying goats for African families is absolutely valid. Below we look at some of the criticism against buying charity goats. Con #1 – Buying goats isn’t the most efficient donation option. When you buy a goat for a family in Africa you’re donating what’s called restricted funds. This essentially means your donation has to be spent on a specific item, a goat in this case,* rather than being used where it’s needed most. * there are certain instances where we end up being “over-funded” for goats and need to spend your donation elsewhere – but in these few cases, we always endeavour to provide a similar item to the intended recipient beneficiary of your gift. As we are not required to track unrestricted funds to a specific project or item there are fewer administration costs involved. This means more of the donated funds go to where they’re intended. Unrestricted donations give us much more flexibility to respond to changing conditions on the ground. For example, buying a goat for a family in Africa during a severe drought isn’t likely to be the solution we’d deploy. Unrestricted funds help us diminish the impact of drought by investing in climate-adaptive farming education, drought-resistant seeds and alternative income training for the communities where we operate. For many people who have a long-standing relationship with a particular charity, this approach works very well. For others who may not know us as well, goats and other charitable gifts represent a good starting point in their relationship with the charity. Con #2 – High lactose-intolerance levels among Africans make goat milk an inappropriate source of nutrition. The value of goats (and cows) is sometimes questioned based on the assumption that their primary value is for the milk they produce. Quite correctly, people raise the issue of high lactose-intolerance levels among Africans. In fact goats are primarily used for their meat, not for their milk (at least, not in Canadian Feed The Children’s programs). Goat meat is a staple in both East and West African diets and therefore provides families with a great source of locally and culturally-appropriate nutrition (see next point). Con #3 – Goats aren’t the best source of protein. Calorie for calorie, it takes more food, more water and more land to raise a healthy goat than it does to raise a healthy lentil. The first is that, nutritionally speaking, animal protein is a more complete protein. For children who are at risk of malnutrition, the quality of the protein is almost as critical as the quantity. The second is that goats and other similar livestock provide women – who are often prevented from owning land – with livelihood and agricultural opportunities that they might not otherwise have. Helping women fully participate in agricultural livelihoods is the single best way to improve children’s nutrition and lift more families out of poverty. Goats are easy to raise, take up little space, breed fast and well, and are resilient in sometimes extreme climates. Women are able to create a simple set-up to breed goats and can then trade them up for a cow or other income options. In short, goats are a good source of complete protein and come with the added benefit of being a reliable income generator and a springboard out of poverty for small farming families, and especially for women. Woinshet Tefera above is a widow from Ethiopia who sold 10 goats (she still has 13 more) and bought a deep freezer and fridge to start selling grocery items. Her income has since doubled. Con #4 – The treatment of goats is inhumane. 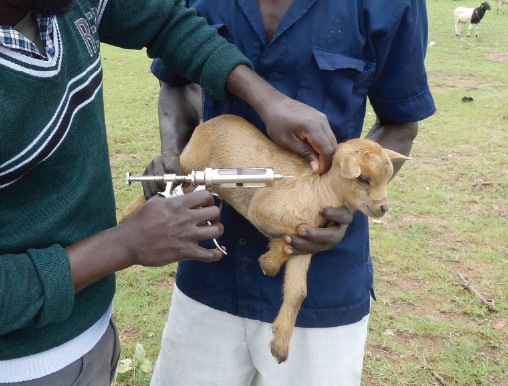 When you buy a goat for a family in Africa you’re also buying training for the family and basic medial care, including vaccinations, for the goat. Goats are definitely raised for their meat; there’s no getting around that. But we need to be really careful not to impose our own values and cultural practices on people who don’t necessarily have the same ones. A vegan or vegetarian lifestyle might work for us in Ottawa or Edmonton, but it doesn’t necessarily respect the very real challenges, cultural traditions or preferences of a smallholder farming family in Ethiopia or Ghana. The goats, sheep and chickens we distribute go to individual families who are generally farming on less than a hectare of land, which is a world away from the kind of “factory farms” that feed so many of us here in North America. Also, we provide goats as part of broader agricultural training and support. Community agricultural agents (pictured during a routine vaccination program) work with women and men to ensure that they have what they need to feed, house and sell their livestock profitably. No one benefits if the recipient of the goat doesn’t know how to keep her animals healthy, and grow her herd into a sustainable source of family income. Con #5 – If you buy a goat for a family in Africa it doesn’t guarantee that the family will be sent a goat. 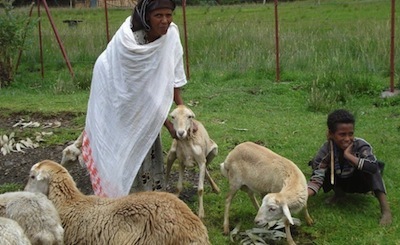 In Ethiopia Sheep are a more appropriate livestock choice. First of all, there’s a bit of a misconception that charities send goats from “here” to “there”. You can rest assured that there’ll be no goat sitting beside you on your next Air Canada flight! Like most charities, we purchase goats locally, i.e., as close to the recipient as possible. This is good for the local economy, minimizes animal stress, ensures animals are suited and acclimatized to the local environment (for lower risk of disease and mortality) and keeps transport costs and environmental impact to a minimum. The point about not being able to guarantee the purchase of a goat is correct. While we do our very best to predict how many goats will be ordered from our charity gift catalogue each year and make sure that is the same number of goats that are distributed through our programs, it’s not an exact science. If more goats are purchased than there is demand for them, we always make sure the real needs of the families and communities we serve are our first priority. Most donors are happy with this as they know that their donation is still going towards the purchase of an item that will be valued, used and helpful — and we always try to use extra funds received for similar programs in the same or nearby areas. However, for some donors this arrangement simply doesn’t work for them and we respect that. So should I buy a goat for a family in Africa? b) happy with how the donation is going to be used. Still have questions? Below are answers to some of the frequently asked questions we receive. Will I receive a tax receipt when I buy a goat for a family in Africa? Yes, all goat purchases are tax receipted. When you order a goat online, you will receive an immediate charitable tax receipt in PDF format by email. When you order a goat by phone, you can choose to receive an electronic receipt or have one mailed to you, usually within two weeks. Canadian Feed The Children’s charitable registration number is 11883 0983 RR0001. See the Government of Canada’s policy statement for charitable tax receipts for more information about charity tax receipts. Is HST charged when I purchase a charity goat? No. When buy a goat for a family in Africa it is considered a donation to Canadian Feed The Children, so no taxes are charged. Goats can be purchased online using MasterCard, Visa, American Express or PayPal. You can also buy a goat for a family in Africa by calling 1-800-387-1221 between 9am – 5pm EST, Monday to Friday. Can I give goats year-round? Yes! Donating a goat makes the perfect birthday, Mother’s Day, Father’s Day or wedding gift. Not only are goats available to buy year round, but they also come with a free card to match most occasions. Do other charities offer goat programs? Yes, most major charities such as Oxfam, World Vision and Plan Canada allow you to give goats and other livestock. Prefer to speak to somebody directly? Give us a call.